Here is a collection of photos from Imagination Club Australia events. The group posing for a rather formal photo. Facilitated by Stephen Dale (right). Everyone showing off their balls (juggling balls) after a great session facilitated by John Mulvey (front row second from left). Tools of the trade. 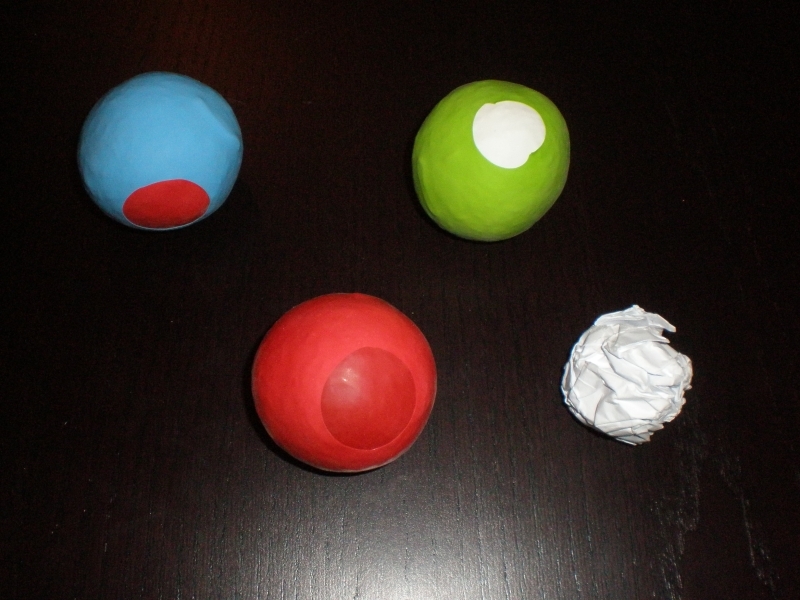 Official juggling balls from John Mulvey - and a paper ball for beginners! Some of the participants on 20-6-11. From left: Anne Russell, Steve Clark (facilitator), Jo Knights, Denise Dillon Bolland, Scott Bolland.Tools of the trade. Official juggling balls from John Mulvey - and a paper ball for beginners! The group showing off their results. Facilitator, Denise Dillon Bolland (standing 3rd from left). Jo and Lisa assembling their ideas. Wendy and Edwin at work on their 'project'. One of the characters created during the workshop. The story you make up for the character reflects yourself - interesting!